known professionally as Piers Morgan, is a British journalist and television presenter. He is editorial director of First News, a national newspaper for children. 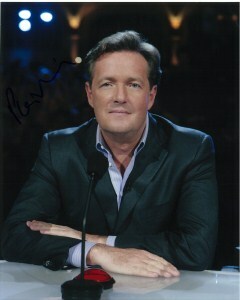 Morgan branched into television mainly as a presenter, but has become best known as a judge or contestant in reality television programmes. In the UK, he was a judge on Britain's Got Talent. Morgan is best known in the United States as a judge on the show America's Got Talent, and as the winner of The Celebrity Apprentice. On 17 January 2011, he began hosting Piers Morgan Tonight for CNN in the timeslot previously occupied by Larry King Live after the retirement of host Larry King.